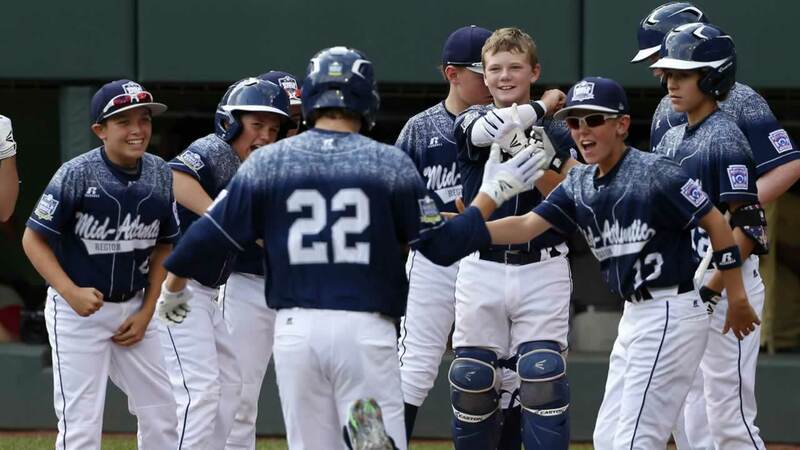 SOUTH WILLIAMSPORT, Pa. -- Chayton Krauss hit an RBI single to right field to give Lewisberry, Pennsylvania, a 3-2 victory over Pearland, Texas, on Saturday for a berth in the Little League World Series championship game in front of a record crowd of almost 46,000 fans. Krauss drove in Braden Kolmansberger, who had walked and moved to third on Jaden Henline's one-out single. Cole Wagner struck out 11 over 5 2-3 innings and hit a home run from the undefeated Red Land Little League team, which draws from Lewisberry and several other towns that are just a two-hour drive from Williamsport. Lewisberry will play undefeated Tokyo for the World Series championship Sunday on ABC7. Tokyo beat Mexicali, Baja California, Mexico, 1-0 in seven innings earlier Saturday for the international title.